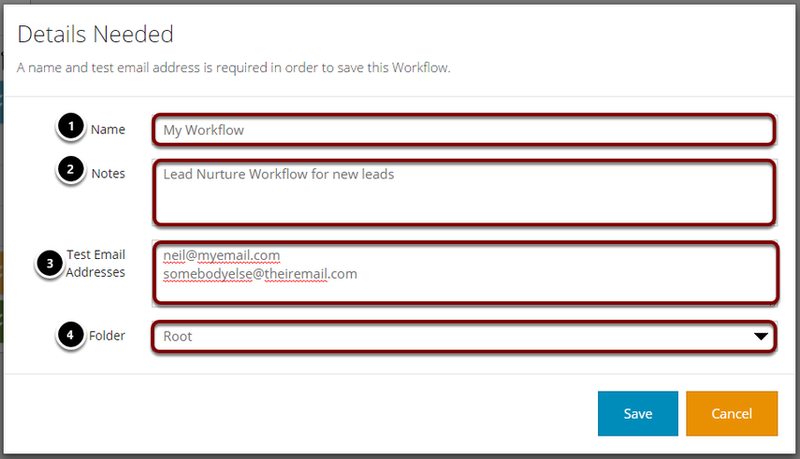 A number of details are required in order to give your Workflow a name, save it and test it. Enter at least one test email address. This will usually be your own but you can enter multiple addresses to send tests to by entering a different address on each row. Select a folder to store your Workflow in. 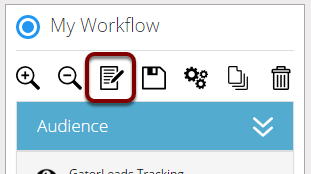 You can change the Workflow details by clicking the edit button, highlighted above.